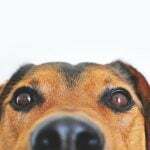 While dogs mostly come with dark or brown eyes, it is not rare to see different eye colors in different breeds. You might see dogs with green, blue, hazel or even red eyes. Some dogs also have rare eyes that are mismatched – one eye may be brown while the other one is blue. Breeds like Siberian Huskies can even have one brown eye and the other is half brown – half blue. 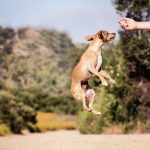 This is usually common in dogs with merle or white coats. 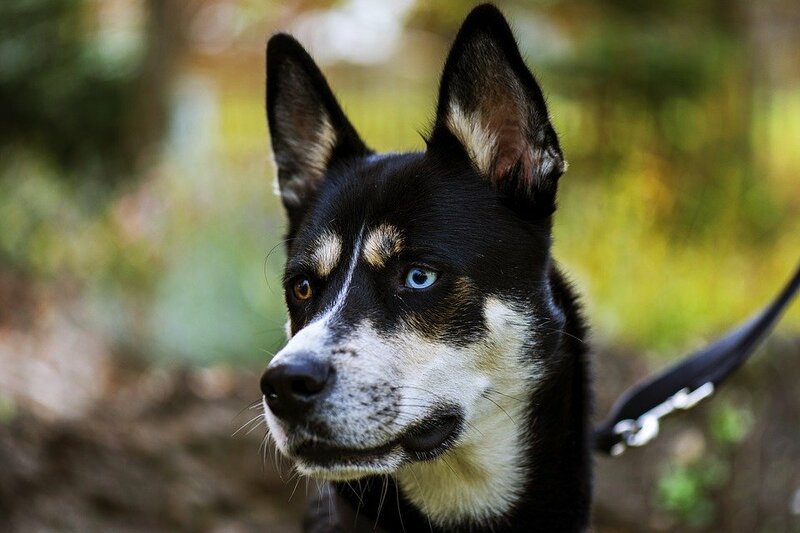 Let us take a closer look at some of these rare dog breeds with hazel and blue eyes and also consider the health issues some of these blue-eyed beauties may have. 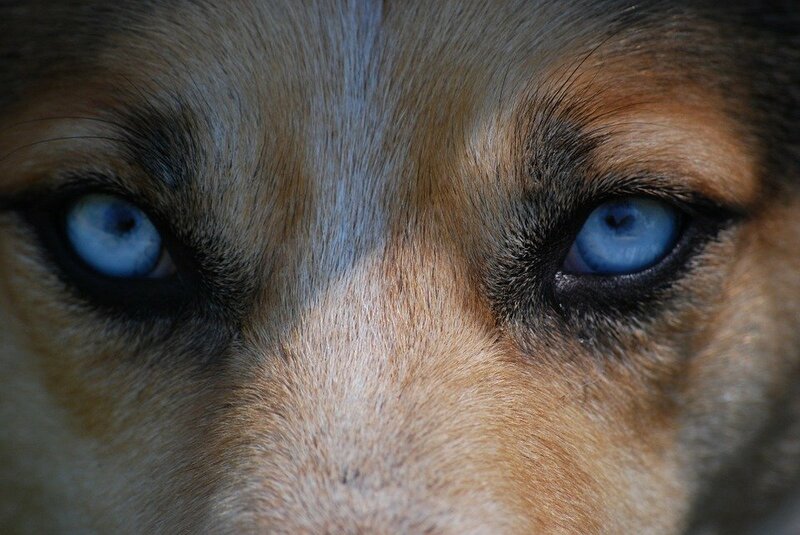 Dogs with blue or hazel eyes have a missing layer of pigment in their iris. Not only does this give them an unusual look; it also makes them more susceptible to light. Thankfully, this has no effect on their eyesight. 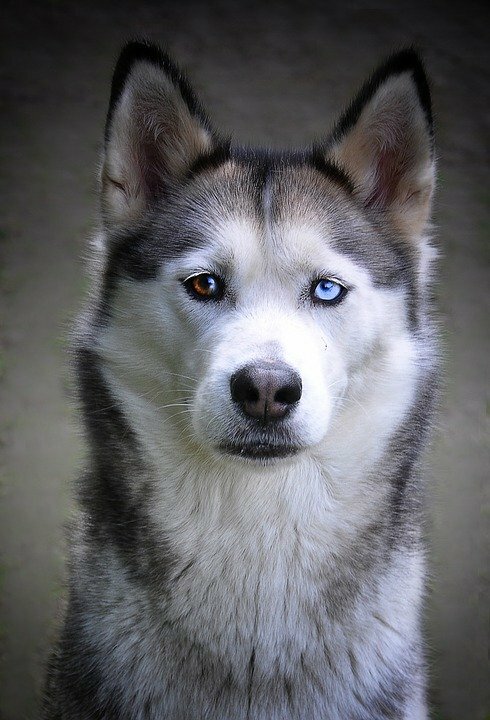 However, there is a strong chance that dogs with blue eyes are born deaf. Blue eyes are caused by the same genes that are responsible for white and merle coats and those genes are linked to deafness as well. Albino dogs also have blue eyes or red eyes. While rare, albinism is known to mostly affect Doberman Pinscher. These dogs have no pigment except for the blue eyes. Albino dogs are known to suffer from many health issues-they are extremely sensitive to light and prone to sunburn. Skin cancer is also a major risk in these dogs. Therefore, responsible breeders do not breed albino Dobermans. 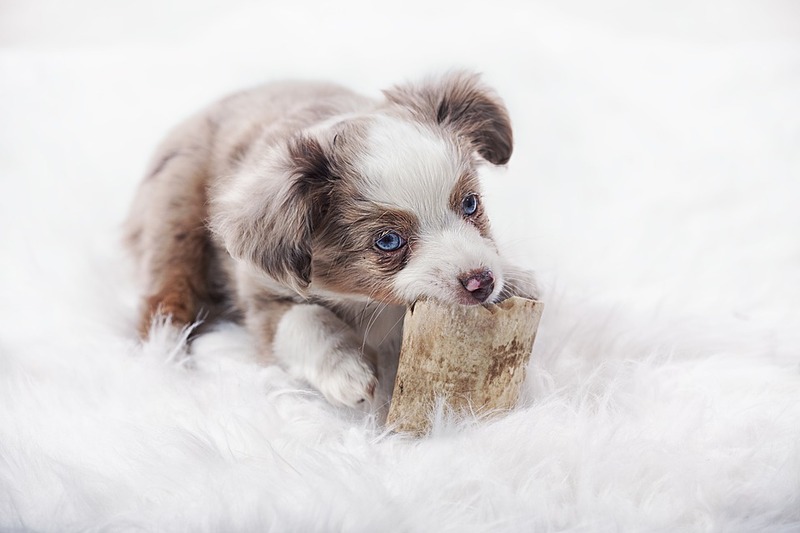 Australian shepherds are one of the rare breeds that have eyes of different colors. You can see amber, brown, hazel, blue and even green eyes. Australian shepherds are even famous for mismatched eyes with one eye being blue and the other green. Split eyes are also rare though desirable trait in Australian Shepherds- this means half the eye may be one color and the other half another color. This sled dog is a beautiful creature that resembles the wolves. It has almond shaped eyes which may be brown, blue, hazel or parti-colored. Well muscled and powerful, this is one of the rare dog breeds with blue eyes and webbed feet. 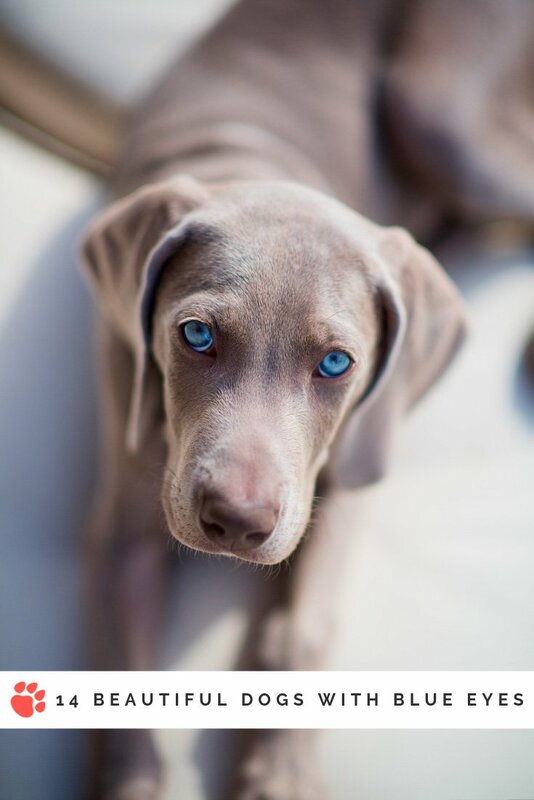 Weimaraner puppies are born with brilliant blue or sapphire eyes that start fading at the age of 6 weeks and changes completely as they grow. It is not surprising to see yellow orange pigment in the eyes but it slowly fades and starts becoming more uniform. 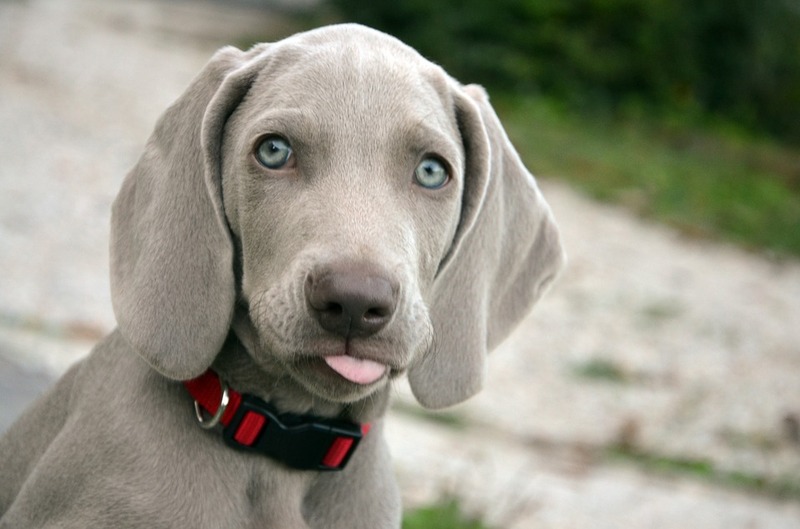 Adult Weimaraners have light amber, gray or blue-gray eyes. Some even mature with eyes of two different hues. The AKC standard for blue Great Dane is steel blue coat and it is not uncommon to see a Blue Great Dane with blue eyes. However, always be wary of Great Dane breeders who advertise ‘rare blue eyed dogs’ for sale. 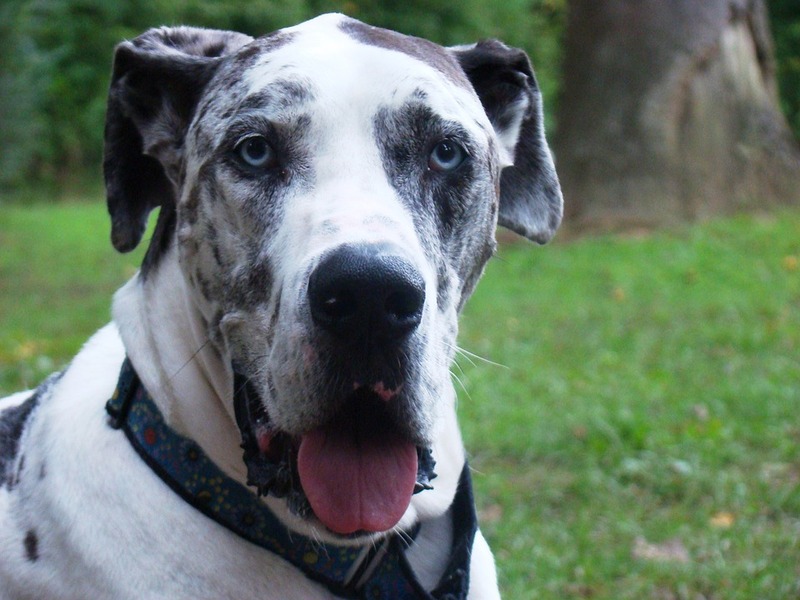 Other common eye colors in Great Danes are amber, dark brown, or light brown. 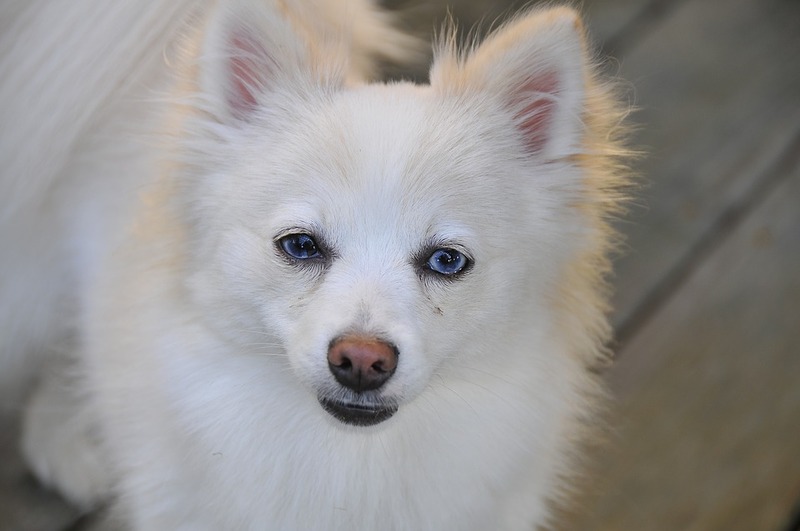 Merle coated Pomeranians often have blue eyes or blue marbled or blue flecked eyes. However, AKC disqualifies merle, blue eyed Pomeranians. Most blue eyed, merle Poms are prone to sterility, hearing issues, eye defects etc. As already mentioned above, this is one of the most popular dog breeds with green eyes, blue eyes, amber eyes or odd colored eyes with combinations of flecks and marbling. 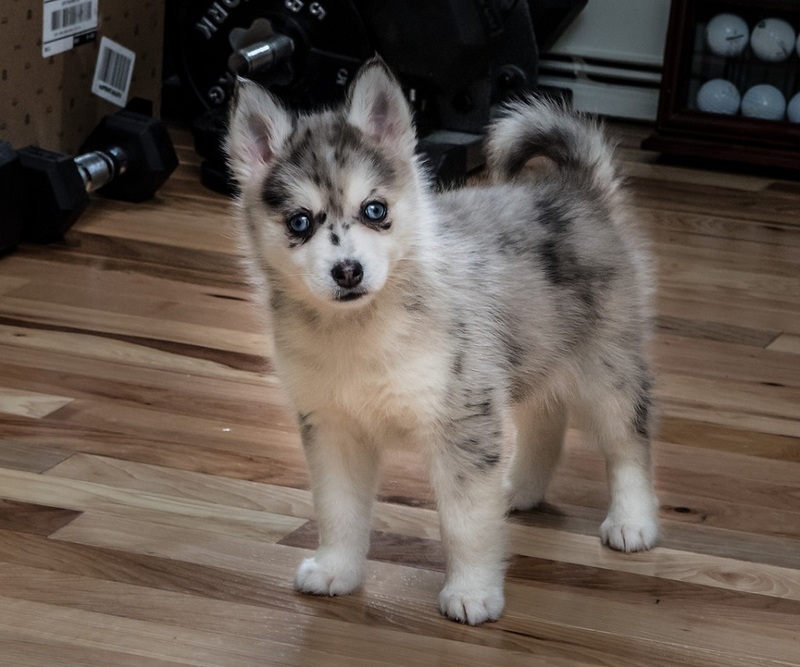 The Pomsky is a cross between Pomeranian and Husky. Their eyes can be Husky blue, green brown, hazel, amber or odd. This is a fun loving, extroverted, intelligent and playful breed. You can get more information about the Pomsky here. Shetland sheepdog or Shelties have brown or blue or split brown and blue eyes. 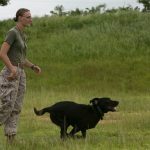 These are intelligent, easy to train dogs. 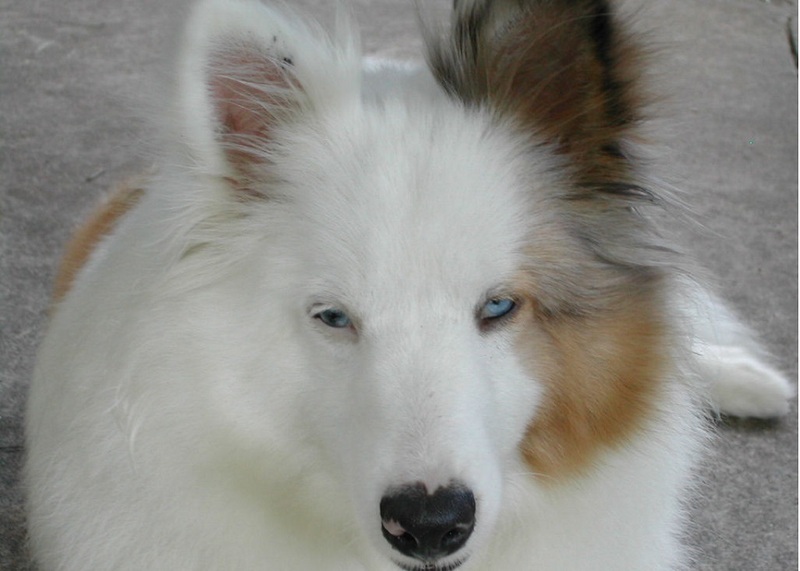 White coated double merle Shelties with blue eyes tend to have health issues. That is one of the main reasons why many white coated double merles are abandoned at shelters. Responsible breeders avoid breeding these dogs for a good reason. This is also one of the rarest dog breeds. 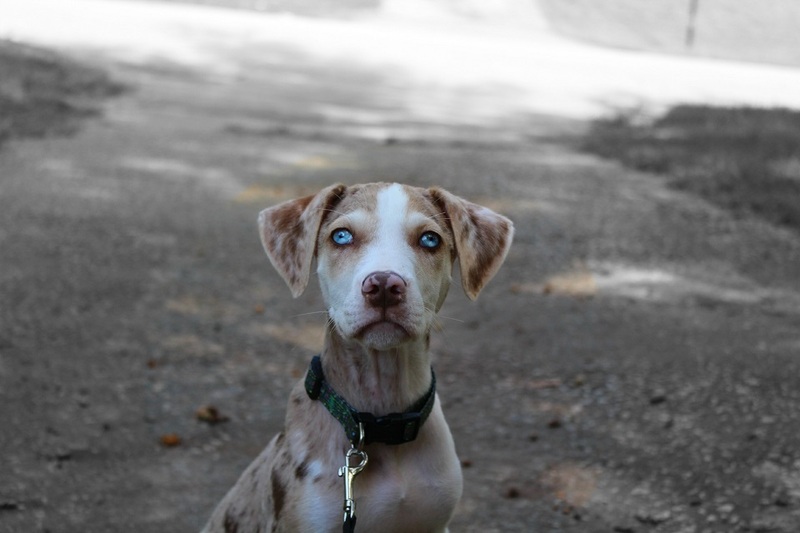 The Catahoula Leopard Dog has amazing eyes that indicate he is ‘always thinking and always watching’. Their coat also has unique markings like those of a leopard’s-and hence the name Catahoula Cur or Leopard dog. Dogs with the merle gene have unique irises which could be amber or blue or hazel. This breed is noted for its unique coat color and varied eye colors. Dalmatian is another breed that is known to have blue eyes. However, as far as show dogs are concerned, this is not a desirable trait to have and warrants immediate disqualification. 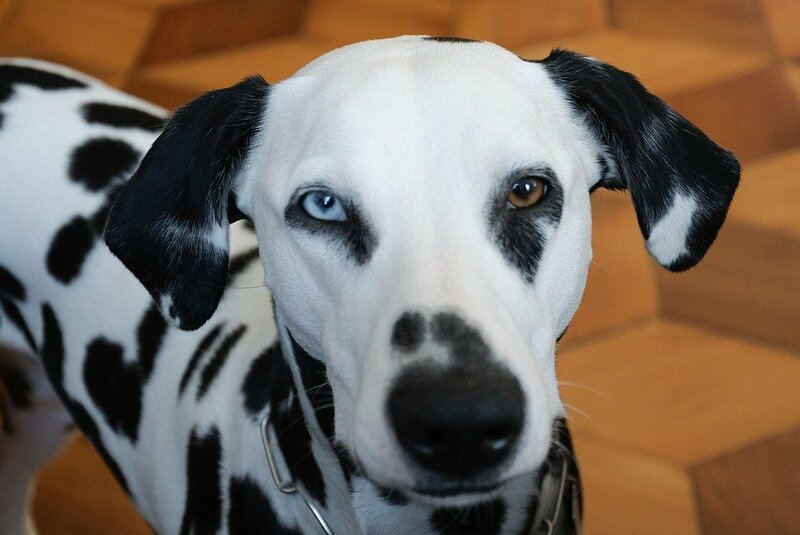 Apart from USA, in many other countries, blue eyed Dalmatians are frowned upon. 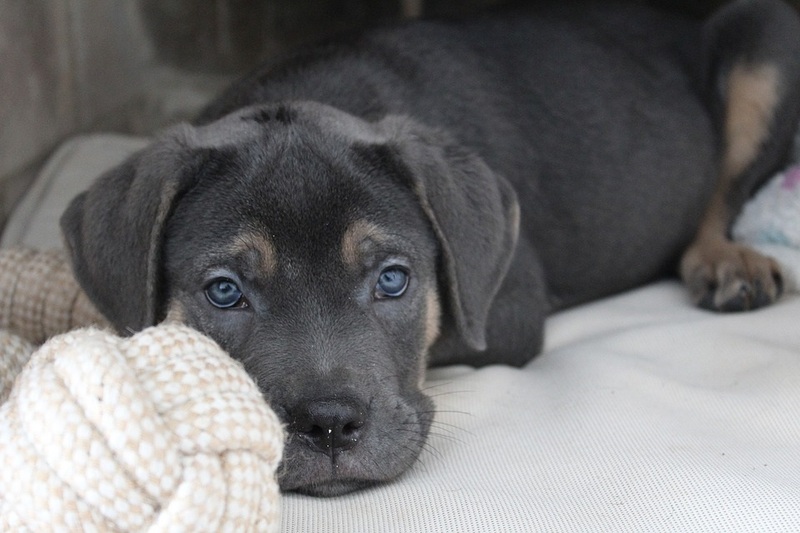 As per the American Cane Corso standards, blue eyes are an immediate disqualification. Cane puppies usually have blue eyes but the color changes with age. Ideal eye color is dark brown or black. Brindled or tawny colored Cane corsos can also have green yellow hazel eyes. These shades are disqualifying faults in the breed. 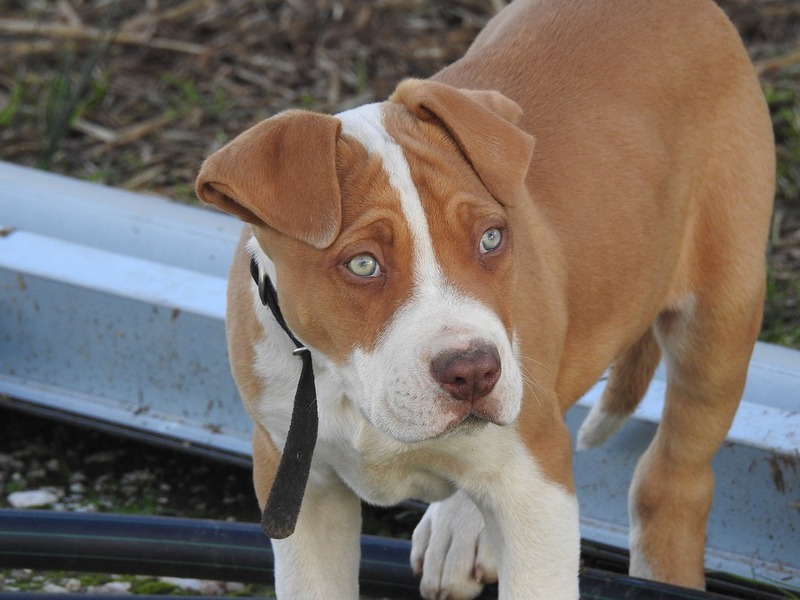 Pit bulls with blue eyes are disqualified from competitions. When two merle coated Cockers are mated, the resulting puppies are more likely to be born with blue eyes, deaf or blind/with no eyes. Some even die shortly after birth. Merle coated cockers are also more likely to have blue eyes. The coat has different patterns but this is not accepted by American Spaniel Club. In some breeds, blue eyes do not necessarily mean health issues. 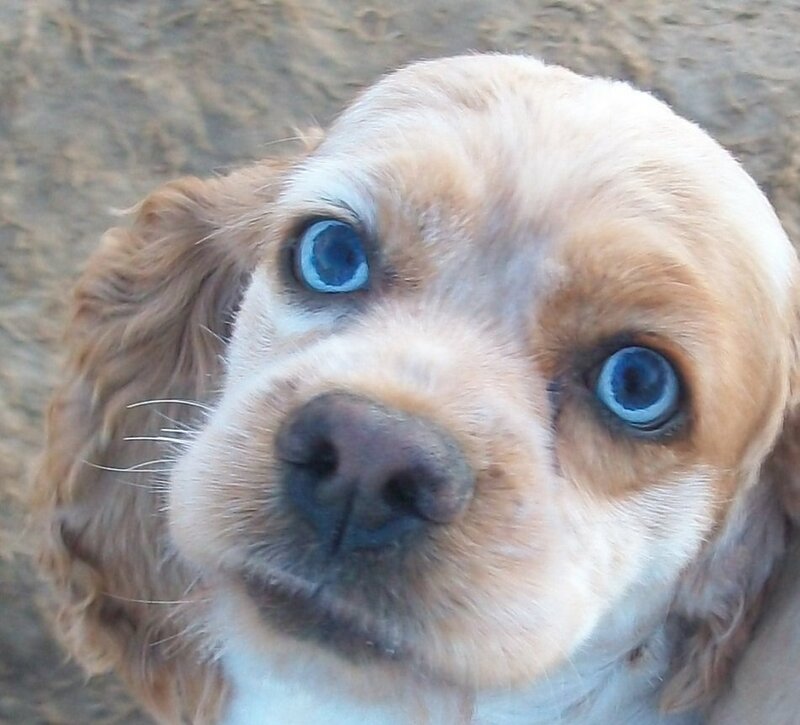 Speak to your vet in case you are planning to adopt a blue eyed dog.